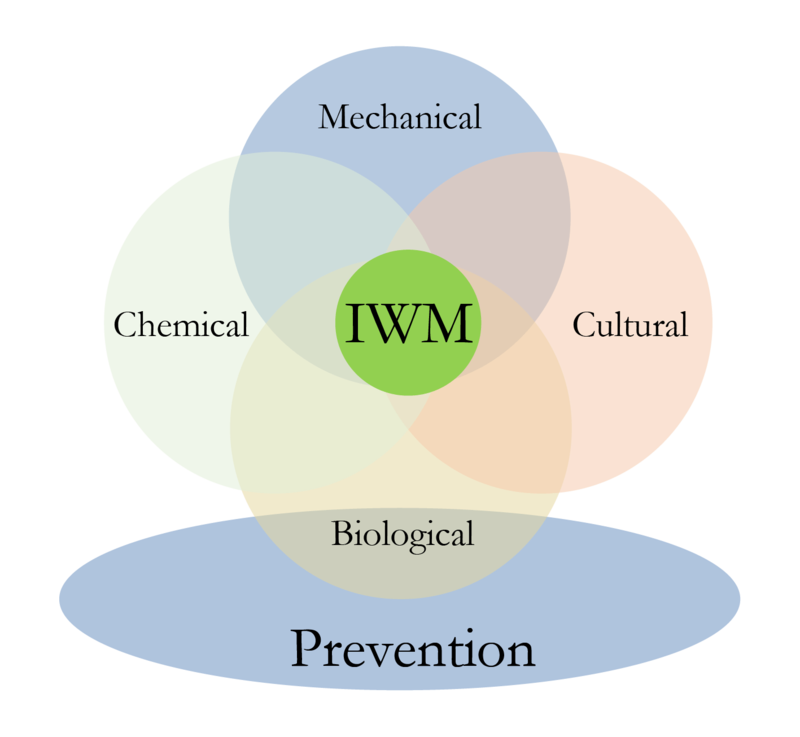 Peter Newman, Western Extension Agronomist with the Australian Herbicide Resistance Initiative (AHRI) and WeedSmart, said about one-third of the nation’s graingrowers were planning to invest in harvester-integrated weed seed control technology and the new vertical, mechanical iHSD was now a strong option. 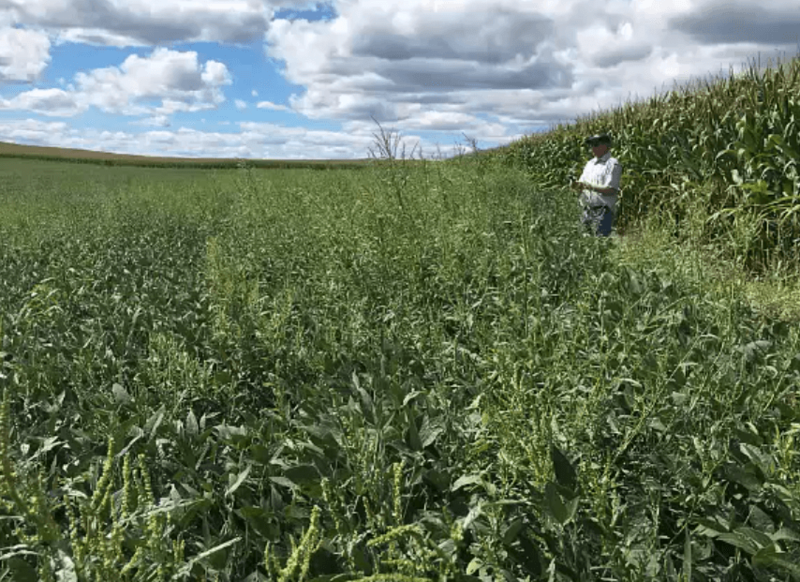 Peter said many growers were waiting for harvester-integrated systems to become more cost-effective and reliable, and the vertical iHSD was a positive development. 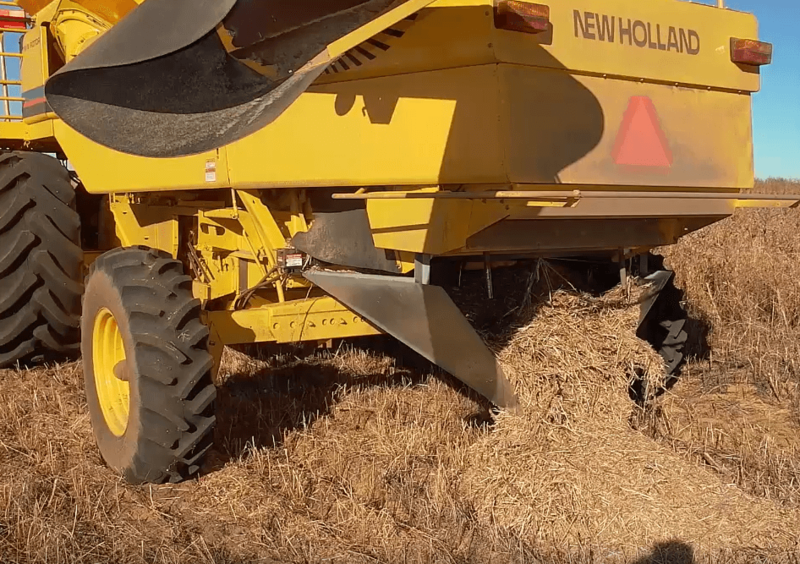 He said he was super impressed with a demonstration of the system on a property near Carnamah in Western Australia last month following the testing of a number of machines in the State, and another harvest with more units would further confirm its reliability. Devon Gilmour, Dealer Principal – Southern Branches with McIntosh & Son in WA, said the ongoing developments with the iHSD had inspired the team to develop a simple, alternative version based on the already high performing cage mills from the hydraulic-drive system, which could be driven consistently at 3000 RPM and achieved up to 99 per cent kill rates of targeted weed seeds. “We wanted to maintain the mill system from the hydraulic version. With the capacity of the mills and the seed kill rate, we knew we had the right mill set to do the job,’’ Devon said. “One of the keys was to drive the mill set consistently at 3000 RPM – the minute that drops off, it has the potential to compromise the mill capacity. The hydraulic system could always consistently achieve the speed and capacity and we have managed to match this with the vertical, mechanical unit with a belt set tested with only a 20 RPM variance of the target speed. He said new features made possible with the vertical design included a trap door that collected any foreign material coming into the system, as well as a rear hatch that could be removed and the iHSD bypassed to effectively create a harvest windrow for easily checking grain losses. “With the vertical design, we have a massive cavity under the sieve, so there is no chance of bridging and we can have a trap door at the bottom. It is a significant cavity between the auger flighting and the trap door – anything coming in sits in that. For anything foreign to go into the mill set, it would have to go down and sideways. Peter said measuring grain losses at harvest was particularly important and so the ability to open the rear hatch and disengage the iHSD belts to do this was a major benefit. Devon said the cost of the vertical, mechanical iHSD was much lower since there was no need to run all the gearboxes associated with all other existing systems. He said eight vertical units were successfully tested in some bulky crops during the WA harvest fitted to a range of header brands with various capacities, including a John Deere S680 and New Holland CR 10.90 with twin pitch rotor system, through to a New Holland CR970 that had clocked-up 4500 hours. A further demonstration of the system is also being planned for Friday, February 8 in WA in a standing crop on a property east of Broomehill. Interested growers can contact McIntosh & Son at Katanning on (08) 9821 7000. 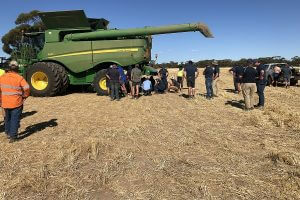 Growers in WA’s northern agricultural region pictured viewing a demonstration of the new vertical, mechanical Integrated Harrington Seed Destructor (iHSD) on a property near Carnamah in Western Australia last month.